Clickfunnels Share Funnel: How Do You Share A Funnel In Clickfunnels? So, picture this scenario. You have created a funnel using Clickfunnels that is bringing you in an incredible conversion rate. No really, you are getting a crazy number of enquiries, and your sales are hitting the roof. In other words, business is booming! How can this possibly get any better? If you’re a part of the Clickfunnels group, then you’ll be aware that funnels get shared around the community on a regular basis. It makes the ability to purchase funnels seem almost redundant. Why pay for something when you can get the same product, with all the bells and whistles, for free? It’s a no-brainer in our eyes. If the person entering your funnel is an existing Clickfunnels member, then your funnel will be added directly to their list. If not, then they will be prompted to join the Clickfunnels community by way of a 14-Day Free Trial giving them access to all the funnel templates for a limited time only. If they go on to become a paying Clickfunnels member, then you go on to receive a commission. This is a super powerful feature, as it’s one of the biggest secrets of how to make money using Clickfunnels. Login into your account and hit the ‘Edit Funnel’ button. Scroll down until you see the ‘Clickfunnels Share Funnel’ option. Copy the URL and share away! In this post, we’re going to explain the steps you can go through to set up a Clickfunnels share funnel. Ways to make money with Clickfunnels share funnels. Now you have the ability to set up your funnels using Clickfunnels, it’s onto the really exciting stuff. Let’s dive into making money using Clickfunnels share funnels. The best way to find success using Clickfunnels is to get your hands dirty. You can’t possibly sell a product that you have not tested for yourself. You haven’t got excited about it. Instead, you have simply seen the flashing pound signs ahead. While this may be the case, you don’t want potential customers catching on, which they absolutely will. It’s obvious when an affiliate is not passionate about a product. Without a story of how you have made your business a success using the funnel you created, then you can wave goodbye to any dreams of an affiliate commission. People buy from people, not products. 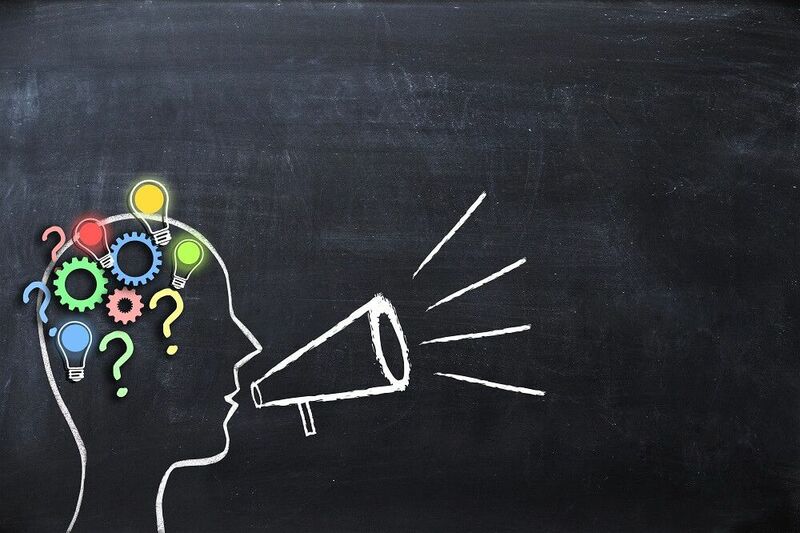 So, get your funnel up and running before you promote it. If you can confidently say that you’re promoting funnels that have legitimately helped your business, then you will get more people signing up to your list and adding your funnel to their account. Which means you can start building out your email subscriber list, and earn more money too. Once you have gained their trust, you can go on to promote any of the Clickfunnels services available. 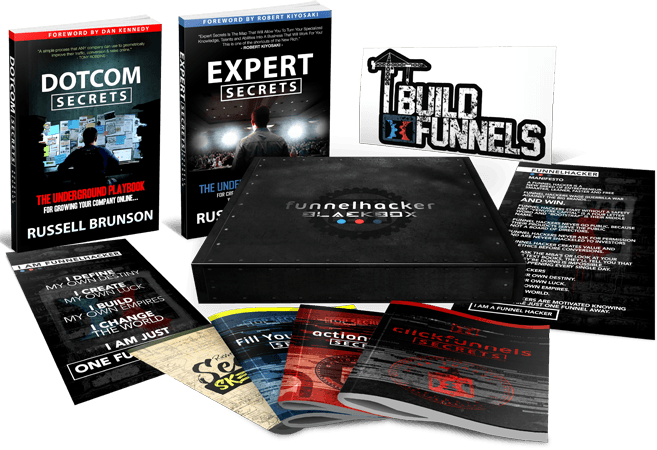 These include ‘The Funnel Hacker’s Cookbook’, ‘Expert Secrets Book’ or ‘Funnel Scripts,’ all of which help you create high-converting funnels. The more affiliate commissions that come in, the more money you can dedicate to sending traffic to your funnels. Ca-ching! This idea will take a little time and effort on your part, but the results will be worth it. As you probably know, local business owners often struggle to make a name for themselves in a crowded market. So what you do is create a funnel tailored to their business and sell it to them for let’s say £500. Once they agree, you present them with your Clickfunnels share funnel URL, which requires them to sign up to an account. You’ve already made a profit before the affiliate commission even comes in! This can be a little tricky at first as you are going in with a hard sell. Think of it as one local business owner helping out another. If you can prove that the funnel works, and sell the concept of funnel marketing, it will be far easier to land the sale. Clickfunnels has brought the term ‘Funnel Marketing’ to the front of the market. We’re seeing the term ‘Funnel Consultant’ bandied around a lot recently. Of course, you’ll need proof that you are a legitimate funnel builder, but once you have created your first success funnel, you have the platform to make this a success. The more funnels you create, the easier it is to help others follow in your footsteps. And once you establish your service, and get more work, you can outsource it to others. But for every funnel you create, make sure to use your share URL to gain additional affiliate commissions. Every business that has something to sell will be using a funnel of some description. Find the ones that work, and replicate them for your business. These funnels are bringing in an excellent return, so test them out for yourself. But, be aware that this only works if you are in the same industry. In other words, if they are a direct competitor. There’s no point in sending traffic to a funnel aimed at an entirely different audience. They may not engage with the same images, font, layout and sales message. These factors are all incredibly important when deciding on which funnels to replicate. As you are doing this, record yourself so people can follow your journey. Not only will this appeal to those in the Clickfunnels community, but it will also show newbies how easy the platform is to use. They will sign up to see what it’s about. Got an impressive list of email subscribers? As you know, having a list of email subscribers is a huge responsibility as people expect you to deliver value with every message sent. Giving them access to some of your most successful funnels will keep them opening and engaging with your emails. You could easily introduce your Clickfunnels share funnel URL as part of a case study or detailed blog post. There really are endless opportunities to share your funnels with your audience. Start the Clickfunnels share funnels plan today! The Clickfunnels share funnel plan is open to all Clickfunnels members and is something you can take advantage of today. And before you all ask, we are proud Clickfunnels affiliates. We can’t sing the praises of this platform any more than we already have. Nowhere else on the internet will you find an entire knowledge hub to this scale dedicated to the promotion of this platform. Go on, we challenge you! 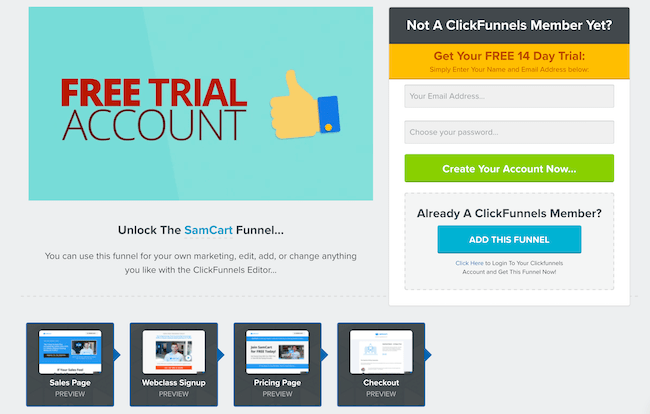 Get Started With Clickfunnels Today! Of course, we get a cheeky affiliate commission, but honestly, it’s worth it just to experience the benefits for yourself.